LawCPD Corporate CPD Packs give law practices, organisations and government bodies access to prepaid legal CPD Courses at discounted rates, with the benefit of single billing and a fully managed administrative support for legal CPD courses. LawCPD’s Corporate CPD packs allow you to allocate courses amongst the lawyers working for your organisation in any manner you see fit, easing administrative requirements and improving cost savings. Save on our already competitive standard pricing with our Corporate CPD Packs, plus reduce your administrative overheads associated with individual expense and reimbursement claims. Your lawyers can complete their mandatory CPD online - anywhere, anytime, on any device! Instead of wasting billable hours commuting and attending seminars, lawyers can get CPD compliant on-the-go. 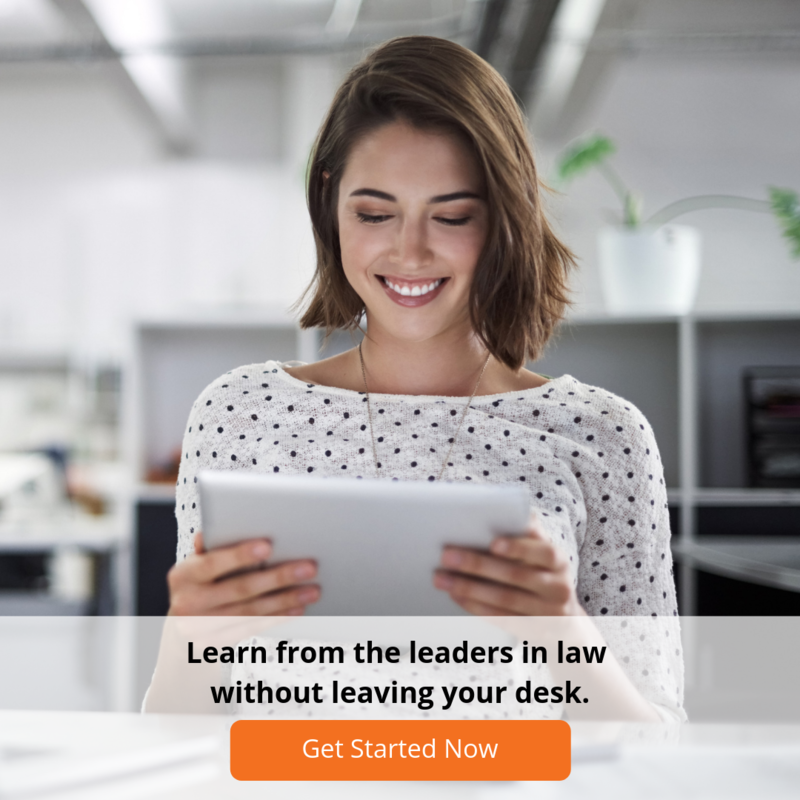 LawCPD offers an extensive online course library covering all the mandatory CPD competencies for all lawyers and for all Australian states. Each lawyer is provided with a personalised online account summary (MyCPD) which is used to track and manage how many CPD/CLE points they have acquired through LawCPD in addition to the printable certificate for each legal CPD course they complete. How do LawCPD's Corporate CPD Packs work? CPD credits are simple to track, and can be allocated across your lawyers as you wish, in a single allocation or as you go. In order to offer your law practice, organisation or government body the greatest flexibility, the CPD Credits do not have an expiry. You can, therefore, decide to allocate all CPD credits to your lawyers at the same time, or as you go depending on your specific requirements. LawCPD does not charge any additional membership or usage fees, nor any up-front fees other than those outlined in your chosen pre-paid Corporate CPD Pack from the list above. We provide busy lawyers with the opportunity to complete their CPD/CLE requirements when and where it suits them by completing our online CPD courses. We offer lawyers practising in every State and Territory a wide range of online CPD courses to choose from, with courses covering each of the mandatory competency areas. Firms and organisations can maximise productivity and reduce lost billable time by providing their lawyers with the option to complete all or part of their CPD online through LawCPD. Our online CPD courses can be used to complement an existing in-house CPD program, or to replace CLE seminar attendance as the means by which lawyers earn their CPD points. How do you track legal CPD Courses completed by my lawyers? Lawyers can provide a copy of the MyCPD summary page or a printed certificate as a record of legal CPD courses they have completed if audited by the regulatory body in their jurisdiction. You can purchase a Course Pack if you are a law firm, statutory body or government department with 3+ lawyers purchasing courses equal to twenty (20) or more points. If you are an individual, we offer discounts through our reward program MyRewards, and through regular offers available to those signed up to our monthly eNewsletter.